It was an honor to serve during the services for Cedar County Deputy Sheriff Matthew Chism. The thoughts and prayers of the Topeka Police Department are with him, his family, friends and co-workers. Rest easy brother, we have the watch from here. May God look after your family. It was truly an honor to help lead you home today brother. No one really knows the sacrifice of the fallen. Your family will be in my thoughts and prayers. Its not right that this man's child and widow have to go on living without him because of scum. I pray you will have peace and comfort and that your child will have plenty of support growing up! On behalf of the U.S. Park Rangers stationed at Buffalo National River, please accept our hearfelt condolences for a fallen brother. Although we did not know him, the position we hold makes us all brothers in spirit. My deepest and most sincere condolences to Officer Chism's family, and to his Brothers and Sisters in Blue. Praying over this young family. Our prayers go to the family blood and blue or Deputy Chism. Thank you for your service as you patrol the streets above us. We'll take it from here. Rest in peace brother. Thoughts are with your family both blue and blood during this difficult time. Thank you Deputy Chism for your service and dedication to your community. Rest easy, we'll take the watch from here. God bless Deputy Chism's soul and his wife and child. As Christ went to prepare a table for us, Deputy Chism has too. Our prayers and condolences go out to the family and friends of our fallen brother. Thank you for your service. On behalf of the Carrollton Missouri Police Department, we offer our sincerest condolences and prayers for your family, friends, and coworkers. We did not know you personally, but this close to home hit us hard. All give some, but you gave all. Rest easy, brother. Rest in peace. My thoughts are with your family. Deputy Chism, thank you for your service. May god bless and keep your family. Another cop killed trying to protect us. Each and everyday these brave women and men go out into the World to do their jobs. when their shift is over they say Amen I am still alive. May his family know he was a hero, protector, brave young man. Thanks much for your service and you the greatest sacrifice ever. 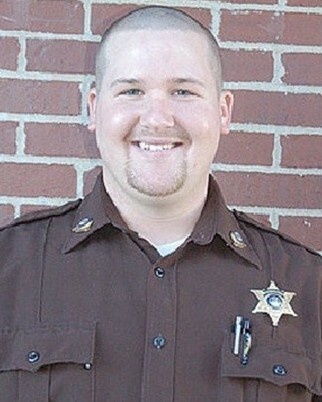 Matthew was an exceptional Deputy for the Cedar County Sheriff Office. He loved his job and was deciated not only to it but deciated and loving to his Wife and Son. Matt was our Superhero of our office, and never forgotten. We love and miss you, brother.